Life-time access to Online Training materials with video tutorials on basic anatomy and physiology, Oxygen Advantage breathing exercises, functional movement and core strength exercises complementary to running. This is great if you are considering becoming a Chi Instructor or if you simply want to take your Chi Running to the next level. If, after attending this workshop, you decide to go on to complete the Instructor Training Programme, the cost of this workshop will be deducted from the total cost of the Instructor Training programme. Do you love to run? Would you love to share that passion with others? The Chi Running Instructor Training Programme will help you hone your Chi Running technique, and provide you with the skills and tools to coach others. As a qualified Chi Running Instructor you will enjoy a wonderful business opportunity, becoming part of a growing network dedicated to inspiring and empowering runners of all levels. Two one-to-one sessions with the UK Director, delivered online or in-person. Despite what you may think, the majority of your running should be fairly easy. Back in the 60s, the renowned running coach Arthur Lydiard revolutionised training with a method that featured lots of slow, comfortable running with modest amounts of speed work. Whilst high-intensity exercise does help improve fitness, the quickest way to overtraining, pain and often injury is to do too much of it. As a rule of thumb consider a maximum of 20% of your training at a hard effort level but only of course if you are appropriated skilled and conditioned for this. So the good news is at least 80% of your training should be at a comfortable effort level. This will not only improve fitness but also your general health and wellbeing. It’s also the smart way to improving your speed since you will be building a solid aerobic base on which to build. The easiest way to ensure that you stay at an easy effort level is to shut your mouth! Breathing in and also out through the nose only. It may take a little time to get used to and it will most probably slow you down to start but stick with it. You’ll soon reap the benefits. When you get to the point where you feel you need to take a big breath through the mouth then slow down or walk but make sure you don’t open your mouth. Why? Nasal breathing ensures that you are running aerobically (with oxygen) and will keep your heart-rate in the aerobic training zone. When working aerobically you shouldn’t be out of breath! Studies also show that after a training session an hours relaxation focusing on diaphragmatic breathing reduces oxidative stress2. Heart rate is a direct reflection of the body’s oxygen need. Therefore if you check your heart-rate whilst practicing nasal breathing you should see a correlation to the MAF method of heart-rate training since both are focusing on an easy aerobic pace. Subtract your age from 180. 150 – 5 = 145. This is the maximum easy-pace aerobic heart rate. For efficient base building, you should train at or just below this level throughout your base-building period. If you are over 65 or 16 and under further individualisation will be needed. 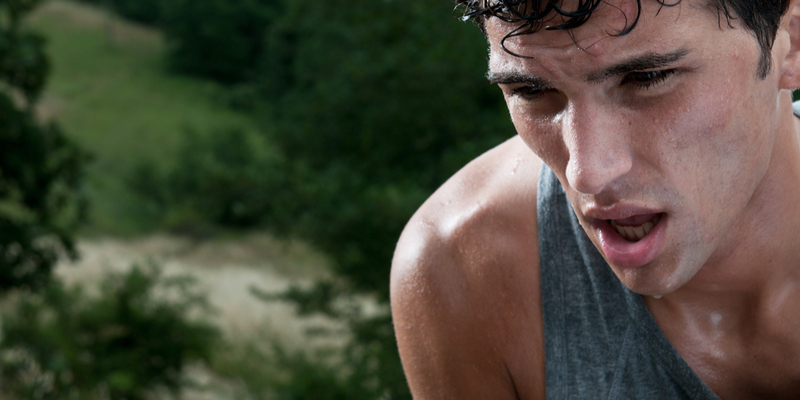 1 ‘The Effects of Nasal Breathing on Exercise Tolerance – Research Repository’. Accessed 22 February 2019. http://eprints.uwe.ac.uk/7545/. 2 Martarelli, Daniele, Mario Cocchioni, Stefania Scuri, and Pierluigi Pompei. ‘Diaphragmatic Breathing Reduces Exercise-Induced Oxidative Stress’. Evidence-Based Complementary and Alternative Medicine: ECAM 2011 (2011): 932430. https://doi.org/10.1093/ecam/nep169. 3 Maffetone, Philip B., and Paul B. Laursen. ‘Athletes: Fit but Unhealthy?’ Sports Medicine – Open 2, no. 1 (26 May 2016): 24. https://doi.org/10.1186/s40798-016-0048-x. You’ll receive regular emails of ideas, articles and opportunities related to health and fitness – along with access to a private Facebook group where you can benefit from the accountability, support, knowledge and experience of like-minded people. We hope you find it a useful and inspiring place to be – we do! Top tips from top running coaches! Picture: Hannah Kirkman, senior coach South West of England. The main thing I’ve learned over my years as a runner and a coach is that running doesn’t always have to be hard work! Check out some top tips from three of our top instructors. 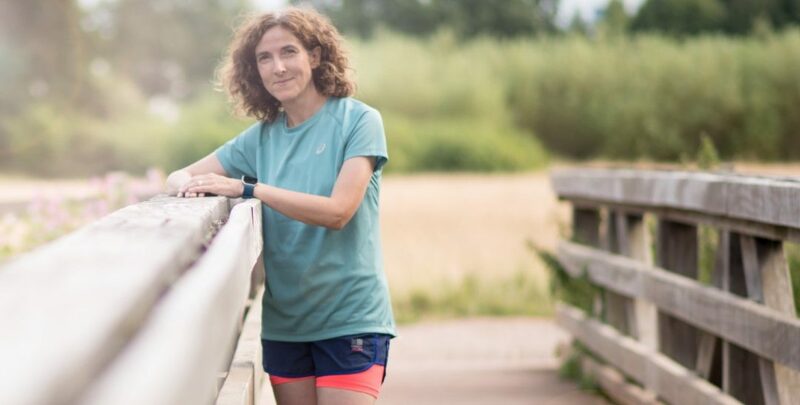 Emer O’Brien teaches ChiRunning and Pilates in Co. Kilkenny, Ireland and quite rightly highlights the fact that running should be fun in her top tips! Take the pressure off your legs by focusing on lengthening the spine and reaching the crown of your head for the sky. Focus on building up the distance at an easy pace, pace is not your priority at this stage, running continuously is your first goal. Hannah Kirkman is our senior coach in the South West of England. Hannah is a highly-experienced runner and coach and is also a specialist personal trainer and restorative exercise specialist. Focus on rhythm not speed. Use the tips of your elbows as timers. Tap the 180 beat with the elbows. Keep your focus away from tapping out the beat with your feet. Concentrate on running over not on the ground. Practice balancing on one leg, there are lots of variations from pistol squat to yoga asana but just balance on one leg. Note the differences between each side. Remember running is a balancing act. Hum your favourite tune! If you can hum you are breathing just fine. ‘Spend time on my feet’ was the best advice I received from a very good female marathon runner. Many runners drive, sit etc and then only move when running. If you want to complete a marathon in 4 hours try walking for 4 hours. How do you feel? Lots of great advice there. Pick one or two ideas at a time to take out on a run with you and let us know how you get on. Remember that running with the right mindset an eye on good technique offers numerous health benefits, both a physically and mentally.